…and much more, which is not included in the concept of contextual advertising. For instance, to create a lucrative website you will need to create not only an appealing design but also to create a competitive content and to include as many keywords as possible on each page of your website. One of the good examples is the eduzaurus essays website where you will see tonnes of keywords that fit the context and attract more customers. As for content, it is a mysterious sphere that in a simple way can be defined as the purchase of text ads on other websites. Moreover, this same contextual advertising is offered by search engines. Let’s talk now about what is best – PPC or SEO optimization. Thus, we will analyze several parameters. SEO costs are usually much cheaper than the content. If you, of course, do not purchase links in batches. Internal optimization is your salary and the salary of a programmer. Catalogs are free of charge, as a rule. In general, in SEO you have a choice – what and at what price to buy. And you can measure inputs according to your budget. PPC is not the same. You need to get an “effective output”. To get an “effective output” – a certain number of visitors (buyers) of your website – you should pay a certain price, which is determined not by you. The market. where you work, specifies it, as well as the search engine that offers you services in the context of the placement. Roughly, you can use the following formula: 1000 (number of desired visitors) / CTR * 100 = the number of requests, which should be on your ad. Accordingly, your costs. If a click with this ad costs you one dollar, then 1,000 clicks will cost you $ 1,000. But on the other hand, you know that 1000 visitors will bring you 10 purchases totaling $ 1,000 profit – then it is not so bad. Especially if you take into account the effect of a loyal buyer – who liked your product and who will return to you again and bring someone else. So,PPC is usually more expensive. You have run out of money. What will happen? PPC: no money- no visitors. 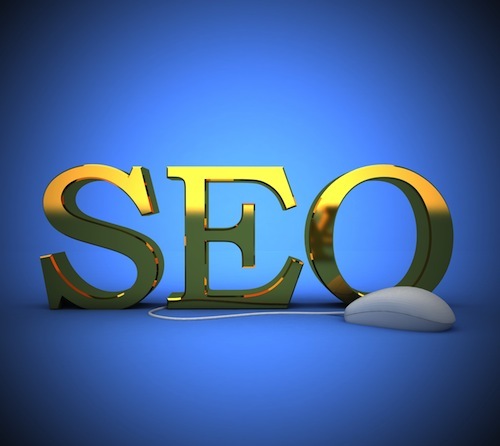 SEO: well, if there is no money ok… The results will be affected only after next indexation. And even then, they are not known clearly and will not be much worse. In the end, do not forget about the free SEO (e.g. links in the catalogs etc. ), so, if you run out of money on SEO optimization, do not despair you will stay afloat for a long time. The effect of the PPC does not have inertia, unlike the effect of SEO optimization. 3. The time when we are able to see the results. You will get results from PPC almost immediately – if you put enough money in PPC, including the copywriter, who completed top-notch texts of the ads. SEO optimization. It can take a long time but the effect can appear totally unexpectedly. 4. The predictability of the results. To predict the effect of the content, despite its mystery is easier. There are a lot of formulas speaking about PPC (CTR, etc. ), which can not be said about SEO, which simply needs to be always done and that’s it. 5. The ability to manage the process. Thus, the possibility of operational management with PPC is higher. You can customize contextual advertising according to the time and geography, in SEO there is only geographic targeting. But on the other hand, applying SEO, you can capture a lot of non-targeted or narrowly targeted queries while in contextual advertising it may get expensive. In contextual advertising, you pay for every visitor. In SEO – each unplanned visitor is free. For example, someone decided to put a link to your website on their website, because your website got a good feedback from whom you bought a link. Or someone just likes content on your website. A visitor from this source, roughly speaking, do not cost you a penny. PPC advertising requires constant attention, working on ads, prices, etc. SEO is something you just do. The results will be or may not. In the case of PPC, you can control that ( using formulas etc.) and with SEO -no control is possible. Interestingly, there are people who the ads and they escape them with all the possible ways, so for them – the best option is SEO optimization. However, some people are addicted to clicking to watch and see new ads and PPC is particularly for them. So, what is better as a result? You decide. But personally, we can say the more areas you cover – the better. Still, we recommend starting with SEO. Without a basic SEO, your contextual advertising will be just thrown money down the drain. Good luck! Whoa Emily, this PPC portion is definitely precise, the beginners must, should know this advantages and disadvantages of about seo PPC. Thank you, for the numerous tips to follow. I cannot wait for the updates.